Little is known of a country in Europe which covers the same latitude as France where grapes have been grown for more than 6,000 years. A local legend says, that Dionysos, the god of wine, was born in Thracia, which covered what is now the territory of Romania, or Dacia, as the Romans called it. The well-established wine culture of Dacia in Roman times, gave the country its proud name of Dacia Felix (Happy Dacia). This popularity associated with wine attracted unwanted invasions from various tribes, to such an extent that the Dacian King Burebista ordered the destruction of all vineyards (1st century BC). 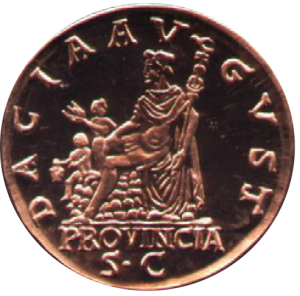 However, Roman coins from the 2nd century AD prove that some vineyards were spared, as these depicted a woman with two children who were enjoying grapes. In more recent times, Romanian viticulture has undergone various stages of development, which impacted the Romanian wine industry. The 19th century, right up to the outbreak of the First World War, was dominated by close cultural and political ties to France, which contributed to the formation of modern Romanian viticulture up to the outbreak of phylloxera. 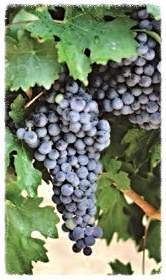 The so-called “French” wine varieties were newly planted post-phylloxera such as: Pinot Noir, Cabernet Sauvignon, Merlot, Chardonnay, Sauvignon Blanc and others. During the Communist state (1948-1989), three types of wine producing organisations emerged: research institutes, wine estates and co-operative vineyards linked to state wineries where quality and quantity were controlled by the state. After 1989, the co-operative vineyards were back in private ownership, the state wineries and wine estates were largely privatised and the research institutes started to play a central role in redefining the Romanian wine industry. Majour vine cultivation programmes in the 1960s under the Communist regime and after joining the EU in 2007, meant that Romania now produces more wine than any other Balkan state. Romania boasts the fifth largest area under vine in Europe after Spain, France, Italy and Portugal. International and local wine varieties are thriving in Romania due to the continental climate, the moderating influence of the Black Sea and the barrier to cool weather systems from the North, naturally created by the Carpathian Mountains. As a result Romania now has some of the best raw materials in Europe, mature, healthy vines of a wide range of familiar varieties, notably: Cabernet Sauvignon, Pinot Noir, Merlot, Chardonnay, Sauvignon Blanc, as well as the local reds: Feteasca Neagra, Negru de Odobesti, Negru Vârtos, Babeasca Neagra, Cadarca; whites: Feteasca Regala, Feteasca Alba, Grasa de Cotnari, Frâncusa, Crâmposie, Galbena de Odobeti, Busuioaca de Moldova, Tamâioasa Româneasca and some superbly sited vineyards. Fetească Albă (“White Maiden” in English) is an ancient Romanian white grape with more than 2,000 years of history, grown especially in Banat, Moldavia and Transylvania. Wines are either dry or off dry, featuring a velvety, natural finesse with balanced alcohol content (11.5-12%), acidity and sugar. It is the most popular Romanian grape, with 23,000 hectares of land cultivated with it. 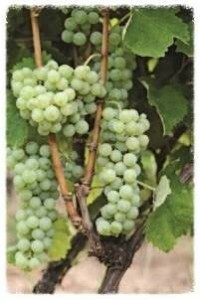 This white grape belongs to the old Cotnari vineyard, where it has been grown since the days of Stephen the Great. It is picked when it shrivels and is affected by botrytis cinerea giving it a high sugar content, of over 240 grams per litre. This is a white grape variety, created in the 1930s, in Mureș County, Transylvania through a natural crossing of Grasă de Cotnari and Fetească Albă. The wines have an alcoholic content of 10.5-11.5% by volume. They are dry, fresh and have high acidity and light citrus flavours. This white variety is used for the production of high quality aromatic wines. Tămâioasă Românească (“Romanian Frankincense”) wines have traditionally been off dry or sweet, however the dry Tămâioasă wines are truly exceptional. The grape is “one of the few survivors among Romania’s ancient varieties – with the most extraordinary aroma” (Jancis Robinson MW). It adds what some describe as ‘roasted coffee bean notes’ and can produce an alcohol content of 12-12.5% by volume and an imposing originality offered by the yellow-golden colour, complex flavour resembling field flowers and honey, persistent rich taste where alcohol, sugar and acidity reach a perfect harmony. Tămâioasă is usually released for sale as an aged wine when the “frankincense” character of the fruit is dominated by a developed, honeyed bouquet. However, it can also be enjoyed when young, especially when the must has had extended cold skin contact before pressing and fermentation. A local Romanian variety, grown in the Moldavian area, mostly in Vrancea. Harvest is late, in early October, and the grapes accumulate approximately 180-200 g of sugar per litre of juice. Grape colour is greenish yellow and with the alcoholic strength of 10.5 to 11.8 degrees, the acidity is medium, 5-5.5 g/l. The wines obtained are dry, light, pleasant and delicate. The grape is ideal for the production of dry wines, as well as the production of wine to be used as raw material for sparkling wine. This white grape was created in Moldavia, in the ’70s, by crossing the Tămâioasă Românească with the Riesling variety to produce a semi-aromatic variety. The grapes have a thick, greenish yellow skin and a juicy flesh with discreet aroma and a juice acidity of 7–7,5 g/l. Harvest is in mid-September, and the grapes accumulate approximately 220-240 g of sugar per litre of juice. The alcoholic strength is 11 to 12 degrees, the acidity is medium, 5.5-6 g/l. It is recommended to be drunk while still young. 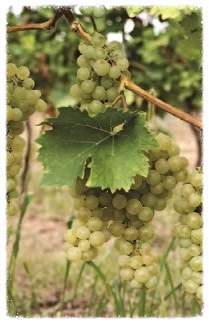 The grape is ideal for the production of white wines of DOC and IG quality. The resulting wines are dry, balanced, fruity, perfumed, with a particular aromatic complexity, greenish yellow in colour. Typical flavours are those of rose, basil, honey, all delicate, but at the same time persistent in both taste and aftertaste, light, slightly acidic, fresh. Crâmpoșie Selecţionată was obtained in 1972 at the Drăgășani Research Institute. In contrast to Crâmpoșie veche this variety yields a larger wine production. It is harvested at full maturity in the second half of September, accumulating approximately 200g of sugar per litre of unfermented wine. Alcoholic strength of 11 to 12 degrees, average acidity of 4.5-5g /l. The wines produced are dry, balanced, fruity, and they have a yellowish-green colour. It is recommended to be drunk while young. The grapes are ideal for sparkling wines. Also known as Poama Fetei Neagră, Coada Rândunicii or Păsărească Neagră, Fetească Neagră (“Black Maiden”) is considered a traditional grape variety, a Dacian variety, which has been grown for a long time on large areas in the south of Moldavia and eastern Wallachia. Today, the wine-growing area has expanded, thus reaching Transylvania, Oltenia, Dobrogea and Banat and has gone even beyond the borders in Moldova. This variety easily accumulates significant amounts of sugar (230 -240 g / l) and has a good acidity of over 7 g / l tartaric acid ( if production does not exceed 8.7 tones / ha). Fetească Neagră is characterised by great aromatic complexity. Depending on the winemaking techniques, wines with various flavours can be made, ranging from wild quince, to red fruit (blackberry, blueberry and ripe plum even “smoked plums” a Romanian delicacy). This variety can give us both exceptional rosé wines and red wines that can be aged in quality wood barrels and then in bottles, resulting in high end wines, with a pronounced typicality. This red grape variety was obtained in 1987 from the variety Negru Vârtos (southern Romania) and Saperavi (originally from Moldova and Georgia), at the Drăgășani research institute. 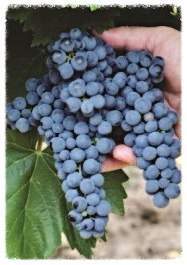 The grapes have a blueish black colour, they ripen at the end of September – beginning of October. The sugar level when the grapes have reached full maturity is 190-200 g / l and the total acidity reaches 4.5 to 5.0 g / l.
The wine has a ruby-red colour, fine tannins and good acidity. It is suitable for ageing in oak barrels and then bottles. Flavours include blueberries, cloves, black pepper, dark chocolate and an aftertaste of rosehip and maize. This red grape variety was obtained in 1993 from a similar cross as the Novac grape from Negru Vârtos and the Saperavi variety, at the Drăgășani Research Institute. 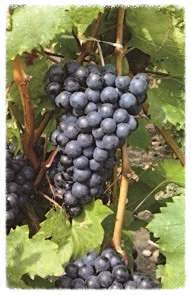 The grapes have a dark blueish colour; they ripen at the end of September. The sugar level when the grapes have reached full maturity is 210 g/l, and during the supramaturation period – 223 – 249 g/l. Total acidity is 4.5 – 5.7 g/l. The full-bodied red wine has a ruby-red colour, fine tannins and good acidity. The wines are fresh and fruity, suitable for oak ageing in barrels and maturation bottles. Typical flavours and aromas include black cherry, blackberries and spices.